Greater Pensacola, long known as the “Cradle of Naval Aviation,” is home to aviation-specific military bases, including Naval Air Station Pensacola (NAS Pensacola) and Whiting Field, creating a large cluster of aviation-, aerospace- and defense-concentrated assets. Greater Pensacola is located less than 60 miles from the Brookley Aeroplex in Mobile, Alabama, home to the Airbus A320 Assembly Line Mobile. Florida is the No. 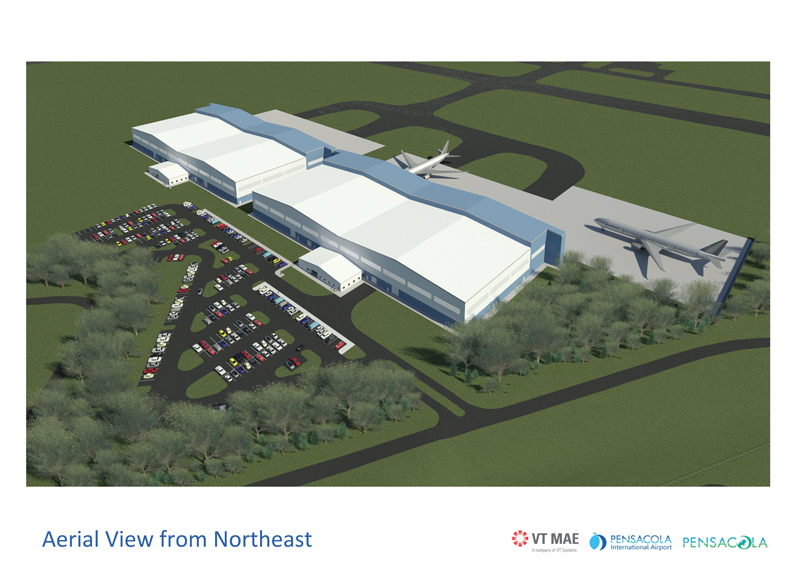 2 state in aviation, aerospace and space establishments. Few states can match the broad range of industry expertise available in Florida. Northwest Florida’s large military presence provides a skilled workforce for aviation and aerospace companies with more than 7,500 individuals currently working in installation, maintenance and repair occupations. Pensacola International Airport services more than 1.5 million passengers a year through seven major airlines and 11 international hub connections. Virtually every major aerospace company and defense contractor has significant operations in the state of Florida. More than 85,000 Floridians work in the state’s aviation and aerospace industries with large numbers of rocket scientists, machinists, pilots, engineers and other flexible, “badgeable” workers. Florida is also home to 65,000+ active duty personnel, 30,000+ civilian personnel, 9,000+ annual military separatees and 1.6 million veterans. Florida’s universities are among the nation’s top producers of STEM graduates, including many specializing in aviation and aerospace. In addition to Greater Pensacola being home to the only international airport between New Orleans and Jacksonville, Florida., Northwest Florida is home to four commercial airports, 17 general public aviation airports, two deep-water ports and a barge port. Greater Pensacola offers a wide-range of excellent site opportunities for your business including The Bluffs, Northwest Florida's Industrial Campus of more than 6,000 acres. There are many considerations when looking for a property and staff is available to answer your questions. Browse the sites and contact us to see how we can work for you. 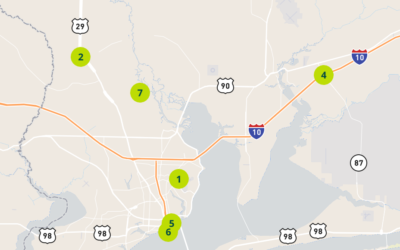 View regional business parks from downtown Pensacola to Century City.